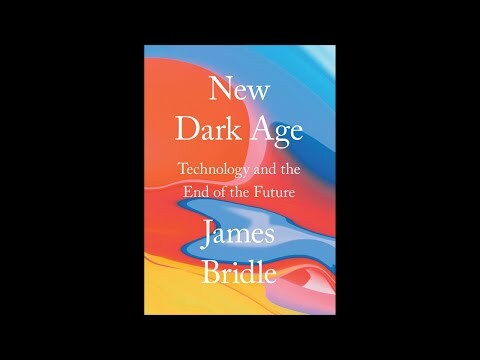 Serpentine Galleries in collaboration with Verso and the Goethe-Institut presented an evening with artist and writer James Bridle on the occasion of the publication of his new book New Dark Age: Technology and the End of the Future. 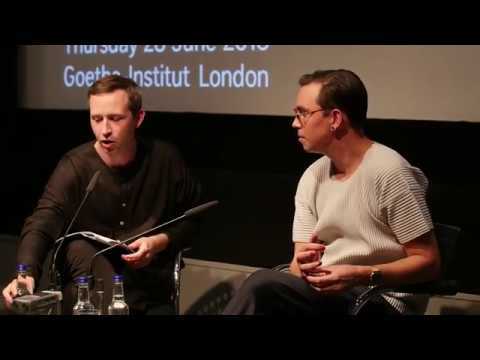 James Bridle was in conversation with Serpentine Galleries CTO Ben Vickers, discussing the dark clouds that gather over our dreams of the digital sublime. The evening also featured a performance by artist and writer Erica Scourti and a screening of We Help Each Other Grow (2017) by They Are Here, a collaborative practice steered by Helen Walker and Harun Morrison. As the world around us increases in technological complexity, our understanding of it diminishes. Underlying this trend is a single idea: the belief that our existence is understandable through computation, and more data is enough to help us build a better world. In actual fact, we are lost in a sea of information, increasingly divided by fundamentalism, simplistic narratives, conspiracy theories, and post-factual politics. Meanwhile, those in power use our lack of understanding to further their own interests. Despite the accessibility of information, we’re living in a new Dark Age. James Bridle explores the dark clouds that gather over our dreams of the digital sublime. What is needed is not new technology, but new metaphors: a metalanguage for describing the world that complex systems have wrought. We don’t and cannot understand everything, but we are capable of thinking it. Technology is and can help us in this thinking: computers are not here to give us answers, but are tools for asking questions. Understanding a technology deeply and systemically allows us to remake metaphors in the service of other ways of thinking – without claiming, or even seeking to fully understand – and to ask the right questions to guide us through this new dark age. James Bridle is writer, journalist, technologist, and visual artist. 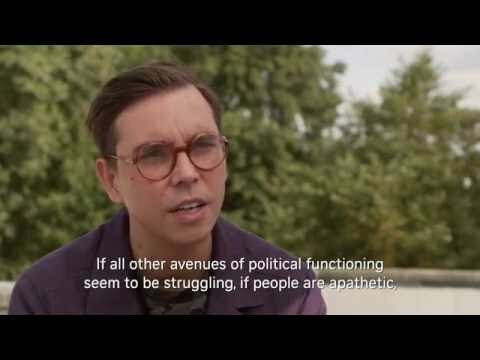 He writes for the Guardian, Observer, Wired, Frieze, the Atlantic, and many other publications. Erica Scourti is an artist and writer based in London and Athens. Her work draws on personal experience to explore life, labour, gender and love in an algorithmic age. She is currently a resident of Somerset House Studios, London. They Are Here (f.2006) is a collaborative practice steered by Helen Walker & Harun Morrison. They are currently based in London and on the River Lea. Their work can be read as a series of context specific games. The entry, invitation or participation can be as significant as the game's conditions and structure. Through these games, they seek to create ephemeral systems and temporary, micro-communities that offer an alternate means of engaging with a situation, history or ideology. Ben Vickers is a curator, writer, explorer, technologist and luddite. He is CTO at Serpentine Galleries and an initiator of the open-source monastic order unMonastery. James Bridle, photo by: Steve Forest, Workers’ Photos.